Peak Oil Update January 31, 2012. Also, “What is is” talked about a future alternative energy store (page) here on pink barrio.com. We have looked for solar panel sources and the best three rated solar panel companies we found do not have affiliate programs. We will continue to look for alternative energy sources. Death Penalty for Cats and Dogs. A Valentine’s Day Card. Blank inside for your own personal message. Is Obama Going To War?. Related: (Cheney’s) Halliburton gets letter of intent for Iraq oil. Iran’s Oil Embargo and Oil Supplies. 01.23.12 In this video, “what is is” talks about Iran’s oil and peak oil. (Are we there yet?) Also, many people in the Estados Unidos (U.S.)—and especially those in the Ministry of Propaganda (a.k.a. corporate media)—do not know how to pronounce the word Iran (the same for Iraq). For an authentic pronunciation of Iran, please listen to two Iranians pronounce the name of their country. Occupy Wall St Has an Agenda. 01.19.12 Hola. Well, today “what is is” is thinking about the Occupy movement and their agenda, part of which, is to get the dinero/money out of politics (we don’t see that happening however). Most (nearly all) of the politicians in the District of Columbia specifically are bought and paid for by mega corporations, lobbyists, the pharma industry, the mangled health “care” industry, the PNAC group and the military industrial complex, et al. Even though they often pretend otherwise in lofty speeches (to get one to vote for them and send them $$), these politicians represent the 1% and not the 99%. As “what is is” points out, one should vote with their dinero. If people stopped giving dinero to corporations, corporations wouldn’t be in business much longer and frankly some of them don’t deserve to be in business and they wouldn’t be bribing these politicians with your dinero that you spent with a corporation (like a chain-box store or a mega fast “food” store). On occasion, it is impossible to find an alternative to a company because in some places 1-2 corporations have a monopoly, such as with Internet service. In that case, one is stuck supporting one of the corporations if you want to be on the Internet. The same with monopoly power companies, if you want electricity and can’t use solar panels (as in an apartment building). But with many other things, one can find non-corporate, independent and sometimes worker-owned companies to support and we urge people to do that. We call it “voting with your dinero/money.” It’s the most important vote The People have today since most of these politicians don’t work for The People, but rather their owners of the 1% (as some of our commenters have written…and by the way, gracias/thank you to those who have commented). 1. Vote with your dinero/money by supporting locally-owned, small, independent, forward-thinking businesses whenever possible rather than facele$$ corporation$. (In other words, vote with your dinero/money by where you spend and have your dinero). 2. Put your dinero/money in a locally-owned small bank or credit union. Please stop supporting the large corporate banks of the 1%. 3. “You are what you eat.” Support a local worker-owned cooperative grocery store (where the workers are the owners) instead of corporate, chain-store grocery stores. Buy organic/environmentally sustainable foods rather than processed foods. And cook using low-heat to reduce free radicals. 4. Take public transportation whenever possible, walk or ride a bike. 5. Record and upload a video of topics important to you and the planet in order to try to educate the public (whenever they put down their gadgets). pink barrio.com’s favourites (including Vacuum Tube Transport). 01.13.12 In this video, “what is is” talks about two rumours he has heard, one being that Howard Dean will run against “G.W. Obama” for president in the Estados Unidos (U.S.). Here in the pink barrio, Howard Dean turned us off years ago as he became more pro-Establishment. Neither Obama nor Dean is a liberal or a progressive despite what those who support either person wish were the case. (Both are quite pro-war, for example, and both have an obsession with “the war on terrorism”). We read a comment on another message forum recently which we are going to quote here: “We’re not going to vote our way out of this mess. Many people are looking for a savior. None exist. Even if one did exist, it wouldn’t matter. The reality is that corporations and corporate lobbyist and the military industrial complex run the government in the United States. Until that changes and until the current system is changed, the downward spiral of this nation will continue regardless of political nominees and political candidates, because they will all work for the corporate owners and lobbyists or be minimized and shoved over in the corner and told to shut up. The Occupy movement was trying to make the changes of which I’m writing but they hit a brick wall with the police protecting the 1%. Even if the Occupy movement starts up again in Spring, they will hit the same wall again.” (End of Quote) Most people showed agreement with that comment on that forum. Peak Oil and Climate Change. 01.11.12 Hola. Here is a vlog about climate change and peak oil, and how unusual and obvious the weather is these days related to climate change. Also, check out pink barrio.com’s favourites. El próximo presidente de los Estados Unidos (The Next President of the United States). In this video, “What is is” presents a realistic scenario of financial collapse where petro is at $15.00/gallon, stores are running out of food, there are long lines for petro and currency is no longer an option. He explains why gold is also not a very good option. 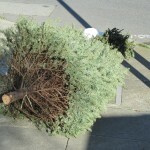 01.01.12 On December 27th, 2011 (the Third Day of Christmas), I read a headline on a website I was on that read, “Christmas may be over…” (The rest of the headline is unimportant). I thought: No, that’s not true. It’s only the Third Day of Christmas (and for the Eastern Orthodox countries, for example, Christmas is celebrated on January 7). Also, Armenians celebrate Christmas on January 6 (it’s a public holiday) and also coincides with the Epiphany. Unlike in the Estados Unidos (U.S.) where Christmas is primarily a buying/greed-fest, Christmas is mainly a religious event in Russia. 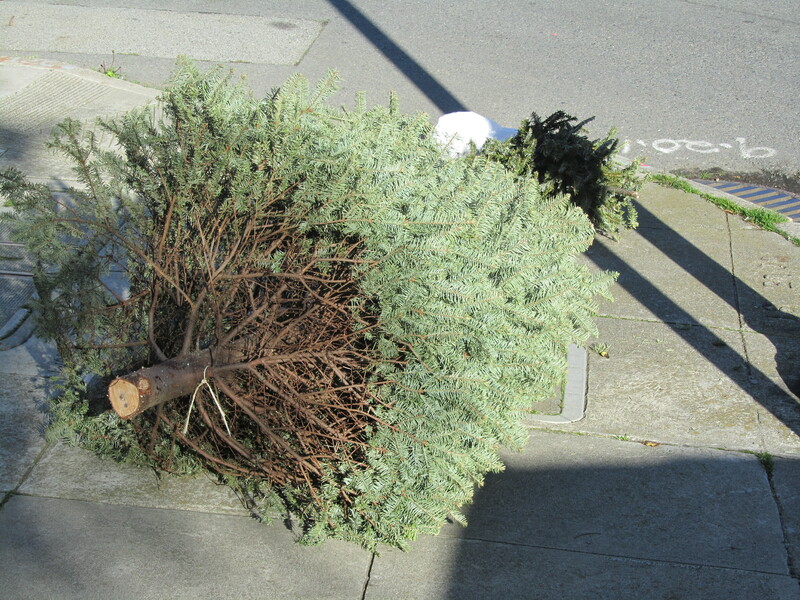 But in the Estados Unidos, one could easily think that Christmas is over when one sees the dead trees and dead wreaths already out on the sidewalk in front of people’s places of residence on December 26th.